Click on the links above to view our new school dinners menu, which we launched in March 2019. We’re particularly excited about this new menu as the children themselves have played a huge part in its design. Our Rights Respecting Ambassadors gathered feedback from their class about what they’d like to see on the menu and shared that with our School Cook, Jacky Ball. Jacky then put together some new dishes based on this feedback, which the RR Ambassadors taste tested and gave final feedback on. The children have even had a say on how the menu looks, choosing the logo and graphic designs. To see the price of school meals for 2018/19, please click here. Click here to check your Free School Meal eligibility online. 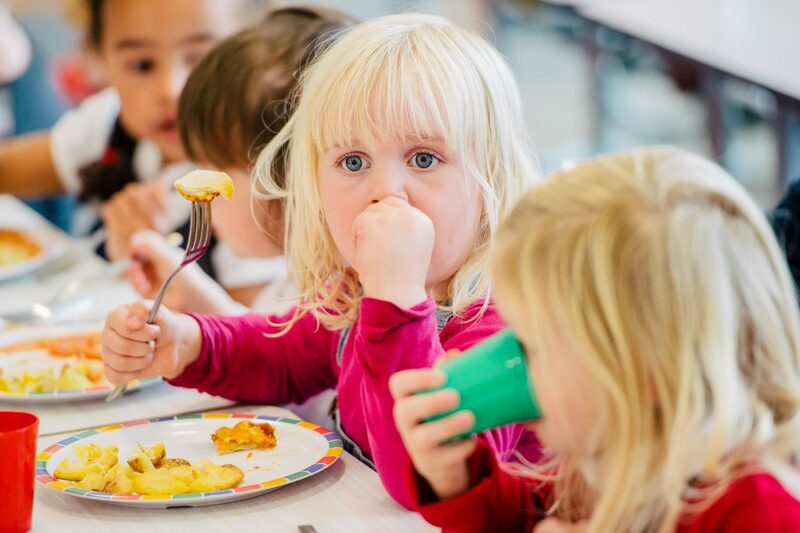 Click here for our Free School Meals claim form, which includes information about eligibility. Click here for more information about Pupil Premium. In the Spring term of 2018 we asked children to submit their favourite healthy recipes. We have now put them together to form our very own Oswald Road Healthy Cookbook…click here to read it.